Group up your students and drive them into the world of modern education. The online versions of our books offer schools and teachers the opportunity to teach, and manage their courses online, at anytime, from anywhere. Our Digital Online School has been designed to deliver excellent support for schools and teachers who opt to teach "Tower Bridge Books" online. The platform enables teachers to track their students' attentance and performance and use the messaging system to communicate with them. Live online sessions with their groups are also available via a secure digital classroomon, on demand. Students can access the learning resources and tests anytime, from anywhere, using their personal computer, their tablet or even their smart phone. The tests are marked automatically and the result is saved in the student's report. Follow the instructions bellow to create your new account now and ask your students to do the same. Then contact us to request "teacher rights" for your group, and you're all done. Click the link "Create a free Account" to be directed to the signup page, and follow the steps below to create your account. 1. Fill in the age and location verification form and accept the privacy and cookie policies. 2. Fill out the form with your details and click "Create my new account. 3. An email will be immediately sent to your email address. 4. Read your email, and click on the web link it contains. If the link is not clickable, copy and paste it in your browsers URL address field. 5. Your account will be confirmed and you will be logged in. 6. On your dashboard, right sidebar, insert your coupon code in the "Coupon" form and click the "Submit Coupon" button to access your new online course. You can now access the online version of your book. From now on you will only need to enter your personal username and password (in the login form) to log in and access the courses you have enrolled in. 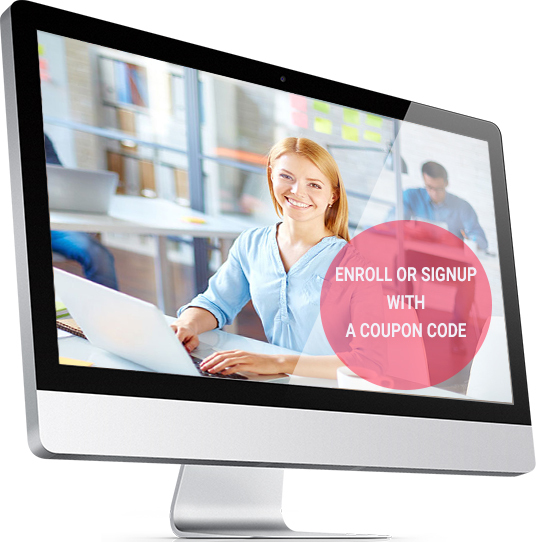 Click the link below to create your account and enroll in the course with your "Coupon Code". For further details or queries, do not hesitate to contact us by phone or email.